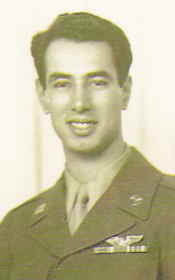 My uncle Sam was born in Spokane, WA on September 2, 1917. When he was 13 years old the family moved to Carnegie, PA. His mother died when he was very young. Sammy was an excellent student; in high school he participated in many musical events and was a star in sports. He won a sports scholarship to college but he was needed at home so he never attended. On November 26, 1941 he enlisted in the US Army and became a ball gunner on the B24 Liberator for the 376th Bombardment Group/512th Bombardment Squadron. He was on plane #44-40489 flying over Ploesti, Romania when it was shot down on 19 August 1944. He was taken prisoner by the Germans on 11 September 1944 in Zemun, Slovenia in the Transit Camp Hospital there. 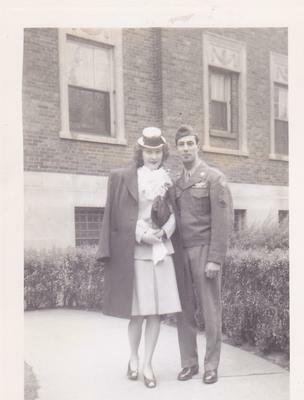 After the war was over Sammy and Florence Schultz (my mother's sister) were married on May 9th, 1945 in Chicago, IL. He wore his uniform. Both Sam and Florence were from the Carnegie/Canonsburg, PA area and dated from before the war. 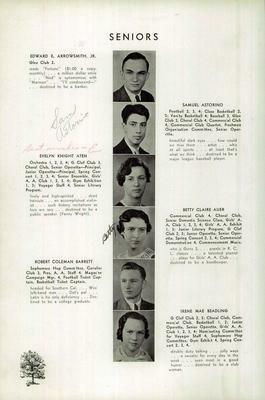 They had two children, Michael (1946) and Marcy (1954) and made their home in Chicago and in Hinsdale, IL. After the war Sam went to work immediately for American Airlines first at Midway and then at O'Hare airport. He was very precise and analytical and rose to the position of dispatcher. Sam was a wonderful and disciplined golfer and in fact, American Airlines named a golf tournament for him. 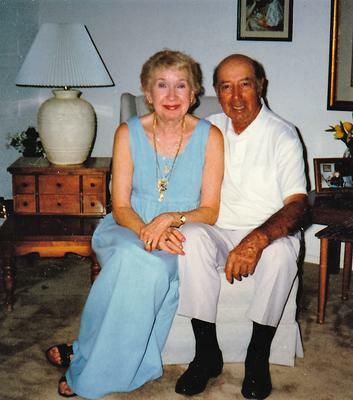 Sam and Florence moved to Phoenix later in life, where he died in 2013. You can find his memorial at Find a Grave. I knew my uncle very well. We celebrated all the holidays with Florence and Sam as well as the other Schultz sisters and cousins. These were wonderful times. Sam was always very quiet. We knew nothing of his heroics in WWII. We wish we could talk to him now.